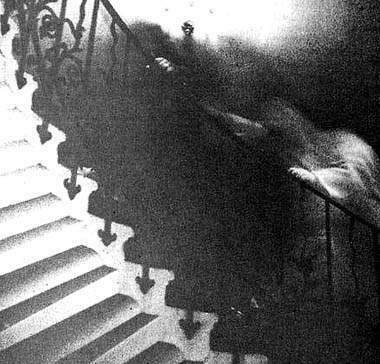 In reports of apparitions the ghosts are most often described by witnesses as solid three dimensional people. They are usually mistaken for "the living" by the witnesses until they do something funky like walk through a wall, vanish etc. It is in that telling moment that they do something that humans simply cannot do that they become something extraordinary in the minds of those who have seen them. If our eyes perceive them thusly why wouldn't a camera lens as well? 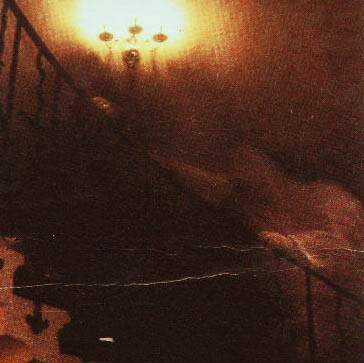 Perhaps there are millions of ghost photos? Perhaps we just don't recognize them for what they are because too many of us have been bogged down looking at dust specks (orbs), blurry shots, shadows, over exposures, double exposures and other such things when we should be looking for exactly what the witnesses describe. Solid appearing, three dimensional, breaking light humans or in many cases animals. Have a look at this photo and close-up. It leaves no doubt as to what is being depicted. 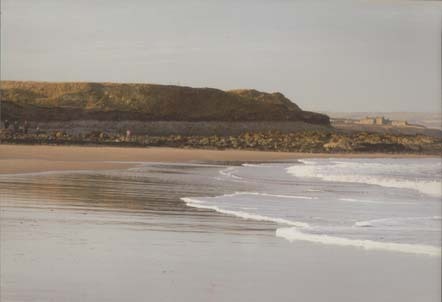 This photo was taken in the late 1990s on Cocklawburn Beach, near Berwick-upon-Tweed on the border between England and Scotland. According to the photographer, it was a cold, bright, sunny Sunday morning, and the beach was deserted, aside from a woman in pink and her labrador dog. 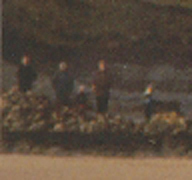 When the picture was developed, standing on a seam of rock not far from the woman in pink is a row of people-- three adults and two children. The choice then becomes clear, do we believe the photographer? You do not need to stare at such a photo (like an inkblot) until your eyes are connecting dots. They are humans. Living or dead is a matter of trusting the photographer and his perception of what was occurring on that beach. Another more famous photo is dubbed "The Tulip Staircase" which again clearly depicts human hands. The photographer (a minister) had nothing to gain, nor made money from this photo. So why then do so many ghost hunters and ghost busters push their belief that blurry photos, thumb prints, camera straps and ghost orbs are anything more than naturally occurring camera/photography gaffs? Real witnesses do not report seeing these, nor do the photographers acknowledge seeing them with their naked eyes prior to film being developed or digital images being downloaded. It sounds as if they are labouring under the misconception that the camera can magically capture what is not there, see into other dimensions etc. Perhaps it is time that those serious about this study consider what witnesses report, and ask themselves why would a ghost photograph otherwise? Cocklawburn Beach image credit, and further information please click here.